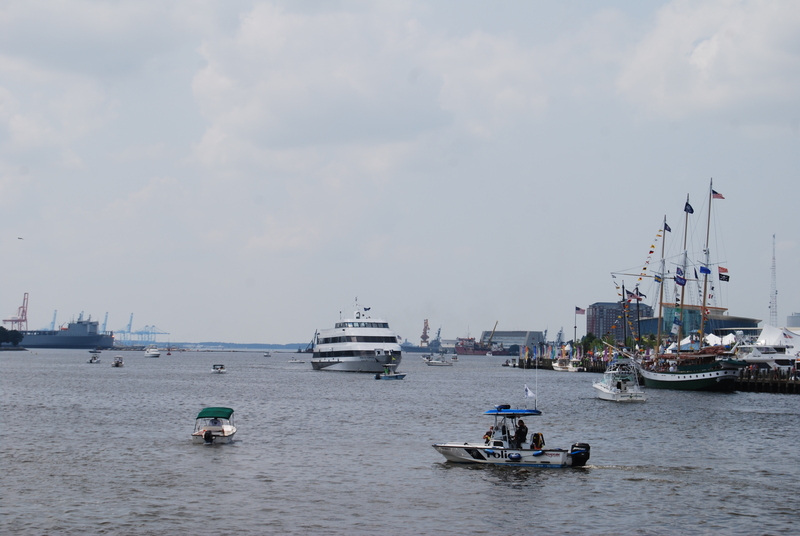 Each year, around the first of June, Norfolk, Va. hosts Harborfest. It’s one of those typical summer festivals: food, entertainment, concerts, sunshine, liquid refreshment (lemonade for us, thank you). Although this was the 35th year, I believe it was only the third Harborfest I’ve ever attended. 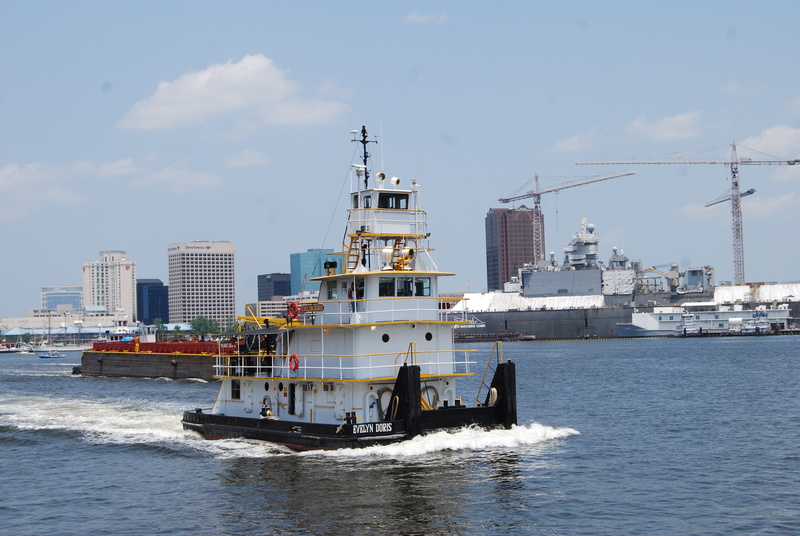 Motor Man and I drove to Portsmouth and rode the paddlewheel ferry across the Elizabeth River. The river was a busy place with police and fire boats, vintage workboats, tugs and pleasure craft. Tall ships were anchored at the waterfront and most were open for tours. That large boat in the center is the lunch/dinner cruise ship, The Spirit of Norfolk, which is docked at Waterside on the Norfolk waterfront. Motor Man and I have a fondness for tug-boats. He’s amazed at their power. I just think they’re cute. The Coast Guard Cutter, Beluga, was docked at the waterfront and was open for tours. So Motor Man and I went aboard, where we discovered steep ladders and tight quarters. 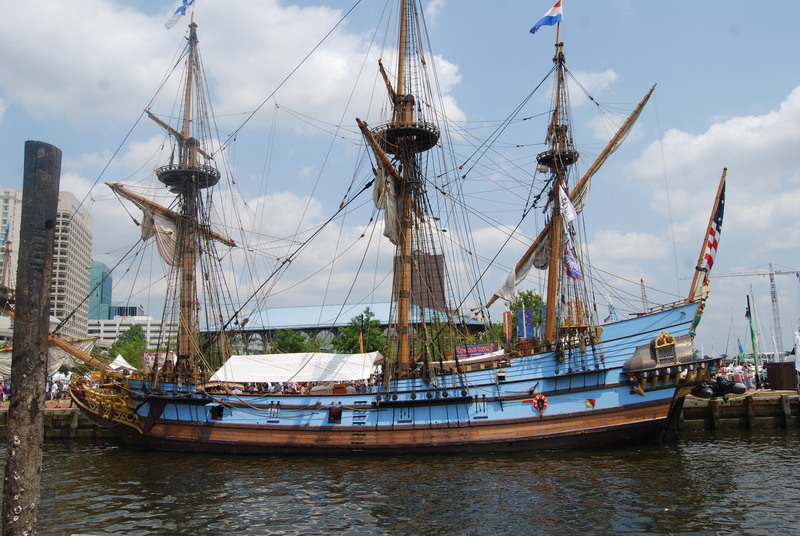 This beautiful tall ship is the Kalmar Nyckel. You may be reading more about her in a future post. After a couple of hours in the sun and 90 degree temps, Motor Man and I were ready to board the ferry for the return trip across the river. We were dog-tired. 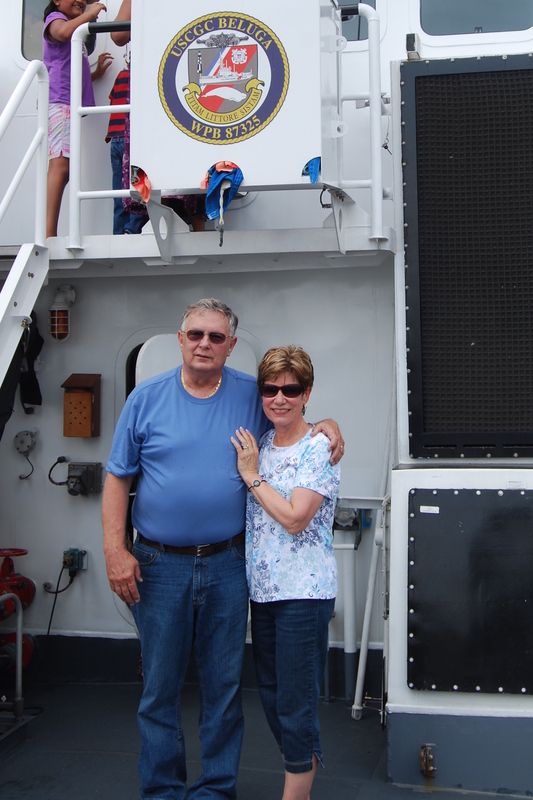 This entry was posted in Traveling Days and tagged cruise ship, ferry, festival, Harborfest, tall ship, workboat. Bookmark the permalink. Well, you’ve beat me! I’ve only been to 1/2 of a visit to Harborfest! Donna and I went years ago. About noon, the heat and sun was so bad, we had to leave. I’ve fainted once in my life from heat and sun and did NOT want a repeat performance. You must have had a wonderful day! And I believe you know as much about motors and such as I! i am with you on the tugboat cute thing. about 35 years ago the tall ships came to Savannah and we went on board, they were amazing. It looks like you had a wonderful day! We have a great event here every year called “Be A Tourist In Your Own Town” – a great way to experience all of those things that you always want to do, but keep putting off. We live near the St. Clair River, so much of it is water/lighthouse/etc. – related. Every year we say that we’re definitely going this year. We’ve gone 0 times. Always seems to be on a beautiful weather Saturday in June, which is great but my husband always works on beautiful weather Saturdays in June! Looks like you had a wonderful time even at a sweltering 90 degrees. A “Work Boat Race”!? That’s just awesome! Sounds as though the tug boats are the strong workhorses in boat-world, not unlike the Belgian, Percheron, Clydesdale and Shire draft horses in the horse-world! Since I took my trip home out West early this year I will be around for the running of the Tall Ships here in Michigan! I’m so excited. I’ve seen them up close once but haven’t been on one…yet. They are beautiful and if the Tug’s are the draft horses then the Schooners/Tall Ships are certainly the Thoroughbreds. 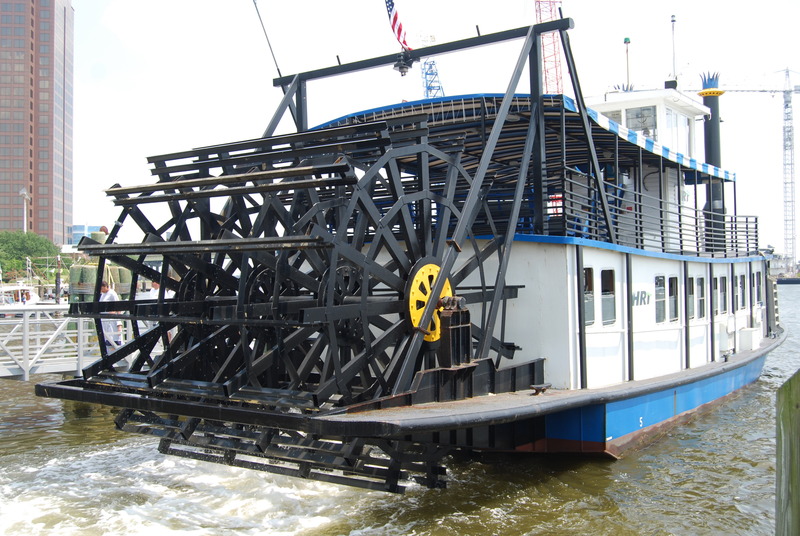 Great idea to approach Harborfest from Portsmouth via the paddlewheel ferry. Not as much traffic I am sure. Lovely photos. I think we went to Harborfest once, when we first moved here. It looks like a lot more is offered than when we attended; but doubt I’d ever get hubby out there again! 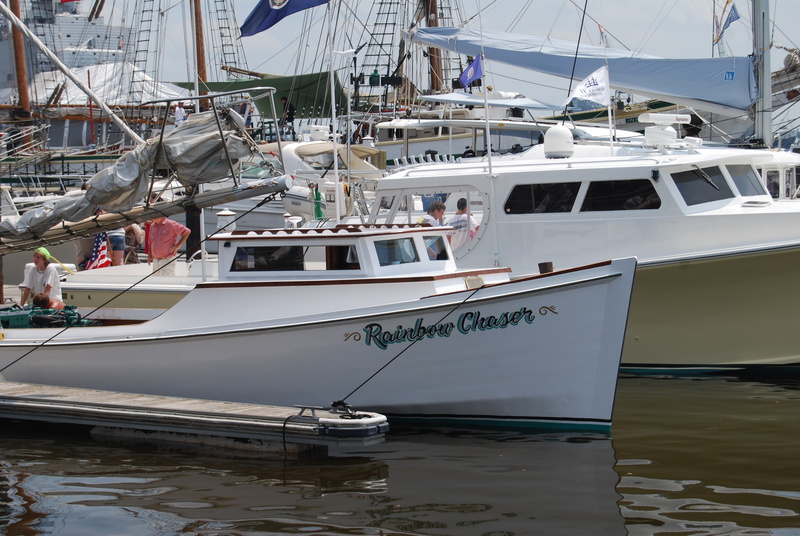 Great job on the information on harborfest, for some years i was the fist mate on the Rainbow Chaser and am still part of the pit crew. What a great picture and that goes for all of them. Fans of the Workboat Races we need your help, Harborfest will not be having the Workboat Races next year and Yourtown is cancled this year so we need everyone to come to the Poquoson Workboat Races and comment on Festevents page how much we enjoy seeing these works of art in action. Really enjoyed this post ~ so neat to have a window into different parts of the country through our blogs! Love the tall ship! Hi Dianna, that looked like so much fun! Enjoyed your photos. I used to love the water, but now can’t do the boating with my inner ear problem, but I sure like to watch them in the water. The tall ships are wonderful. Have a good week! It’s posts like these that make me miss the East Coast! It looks like such a fun day! Many years ago I remember visiting Navy boats when I lived in Australia. It was so cool climbing around the ships. Congrats and thanks for your great writing and photography! 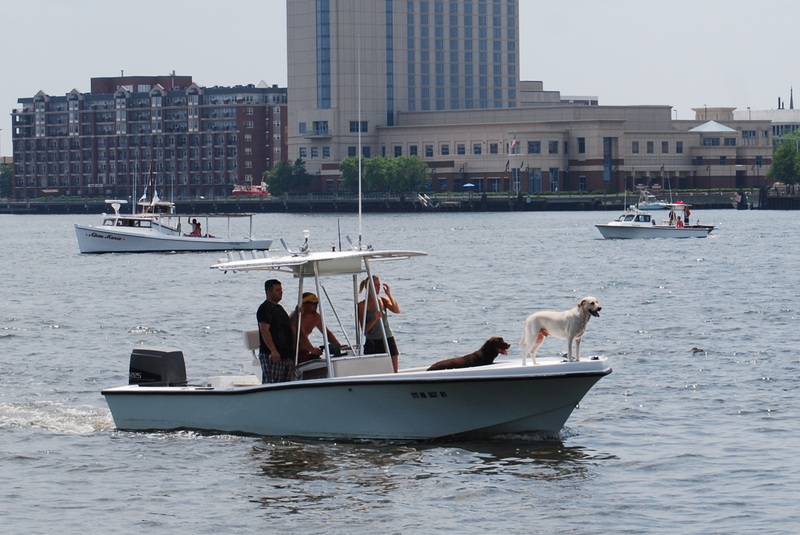 Harborfest is a big deal each sumer in the Norfolk and Virginia Beach area. Lots of fun had by all. Can you believe Chuck and I have been living in the area nearly 30 years and have never been.. We are not not big lovers of crowds like that, but glad you and Motor Man had a good time. Looks like you guys had fun! I wonder if there is anything like that near us… or New Orleans and their steamboats. I may have to check it out. Bugs would love the boats. This looks like soooo much fun! I love the “water” so much, and yet, I have ended up living in an area where there is no water 😦 Our largest body of water is in our horsetank. Does that count?